I have written two books related to programming in Tcl. 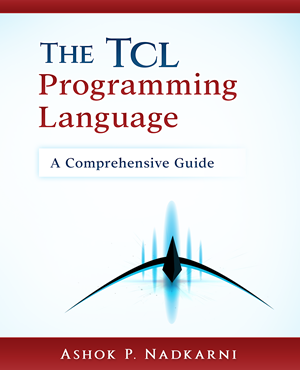 The first, The Tcl Programming Language, is a comprehensive guide to programming in Tcl 8.6. It covers everything from the basics, to new Tcl features such as OO and coroutines, to advanced topics such as writing your own virtual file systems in Tcl. It is available in print and electronic forms from Amazon and Gumroad. The other, Tcl Programming for Windows, is still work in progress with drafts of all completed chapters available online.